Observation - Black berries in hedgerow - UK and Ireland. 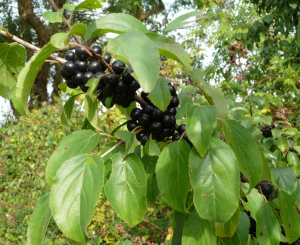 Description: No idea what this plant is, the berries were quite large (about 1.5cm across) and gathered in clusters next to the branches. No idea what this plant is, the berries were quite large (about 1.5cm across) and gathered in clusters next to the branches.